Your teeth are critical for daily living. Eating, talking and smiling are all easier with healthy teeth. If you are missing teeth, then you know just how hard it is to maintain your lifestyle. That is why you need to consider a dental implants procedure. Read on to learn about what dental implants in Frederick can do for you. You can think of dental implants like artificial roots. Most people have heard of artificial teeth, but dental implant surgery takes things to the next level. Instead of putting a crown on an existing root, the dental implant procedure creates a root out of titanium and places it in the jawbone. This is called an endosteal implant. A subperiosteal implant creates a titanium root in the gum. Whether you use an endosteal implant or subperiosteal, you can top it off with a crown that looks more natural than most alternatives. Dental implants are an investment, but the actual price is determined by your specific needs and whether or not you have dental implants insurance. When considering how much dental implants cost, you have to look at the materials that are used and the type of dental implants procedure. If you require a bone graft, the cost of dental implants is greater. For a customized assessment of how much dental implants cost, you can speak to one of our implant dentists. We will be more than happy to help you with affordable dental implants. Even if you have insurance, you may not have dental implant insurance. 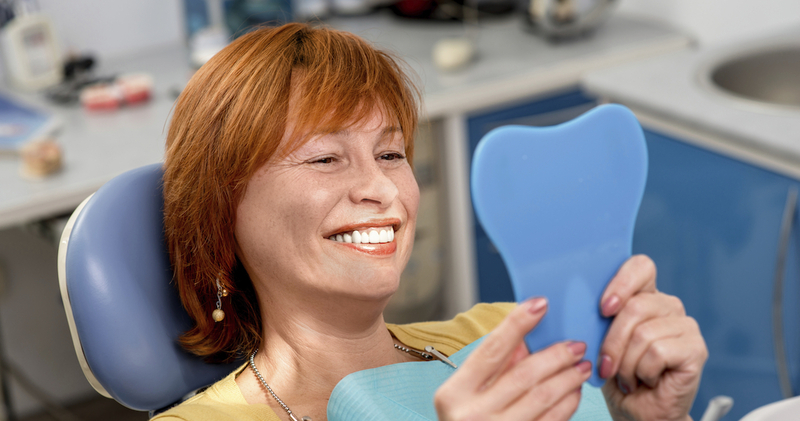 Some policies may offer dental insurance implants, but you will probably have to pay for the procedure on your own. However, even without dental implants insurance, you can still have affordable dental implants with our financing. To learn more about the cost of dental implants with insurance or alternative financing, schedule an appointment today. What are Dental Implant Procedure Steps? There are several dental implant procedure steps, which are spread out over a period of months. For endosteal dental implants, the base is secured into the jawbone and given time to heal. 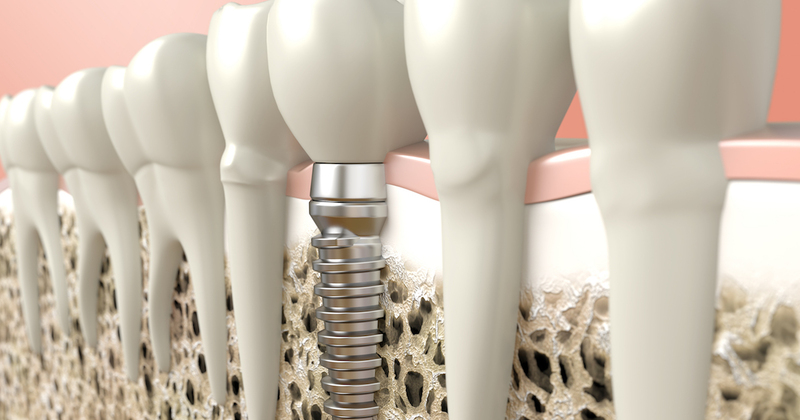 This process takes several months and allows the bone to fuse with the implant. After the implant is secure, an abutment is placed to make way for a crown. The crown is customized to fit your mouth and then cemented on top of the abutment. The process of dental implants will vary somewhat if you have a subperiosteal implant instead. Either way, dental implant procedure pain is usually minor and treated with everyday painkillers. You can learn more about dental implants in Frederick by talking to our implant dentists. Because dental implants are an investment of time and money, you should always remember the powerful dental implants benefits. Immediately after surgery, you may experience some pain that can be treated with over-the-counter medications. When the pain subsides, you should resume normal activities. Dental implant care after surgery should be handled like routine oral hygiene with brushing, flossing, and using mouthwash. Routine dental checkups are also recommended. Maybe you had a tooth knocked out accidentally. Maybe portions of your smile have been damaged by gum disease. A dental implants procedure can restore your mouth for better function and improved confidence. To know whether or not you are a good dental implants candidate, schedule a consultation with our office. Our implant experts can look at your mouth to see if your jawbone can support dental implants. We can also discuss alternative solutions for your dental concerns. Before you decide on dental implants in Frederick, you may want to know how long dental implants last. The good news is that, with proper care, dental implants may last the rest of your life. The location of the dental implants will affect your prognosis, but most people enjoy their dental implants for decades. To learn more about dental implants, we are here for you. Are you missing out on life because youâ€™re missing some of your teeth? Discover how dental implants may be your smile solution. Are All-on-4 Implants Better Than Dentures to Replace Missing Teeth? If youâ€™re fed up with living with missing teeth, you may be considering traditional dentures as a practical replacement option. Luckily, time and technology has brought along a better alternative called All-on-4Â® implants.